Mainly clear. Low 51F. Winds WSW at 5 to 10 mph. Jesse Martin Eriquez appears in a Santa Maria courtroom Monday. 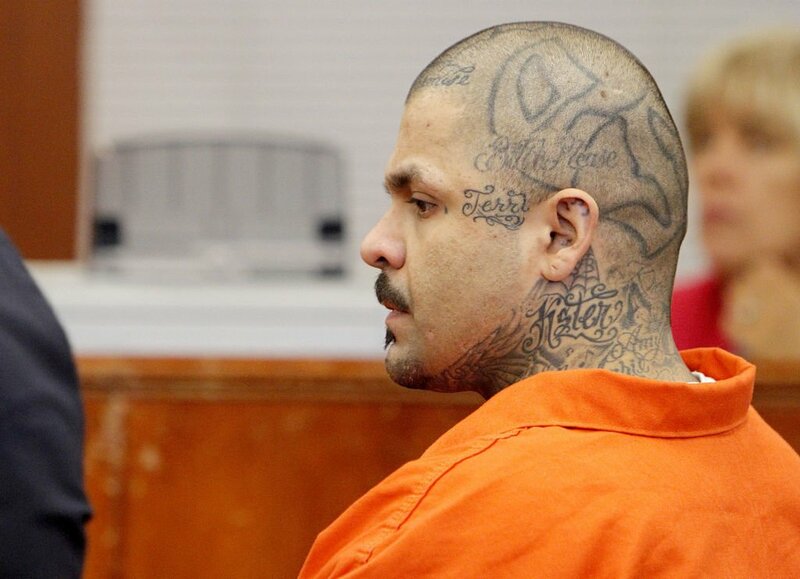 Arturo Renteria Jr. appears in a Santa Maria courtroom Monday. Benjamin Ybarra, from left, Ulisses Ramon Guzman and Sarah Elizabeth Montoya appear in a Santa Maria courtroom Monday. The seven alleged gang members indicted on charges that they conspired to extort money from Santa Barbara County residents on behalf of the Mexican Mafia prison gang were in court Monday. Superior Court Judge John McGregor granted a motion filed by defense attorney Addison Steele to sever his client, 35-year-old Jesse Martin Enriquez, of Santa Barbara, from the remaining six defendants. Prosecutor Stephen Foley did not oppose the request. "It is in Mr. Enriquez's best interests to proceed with the case separately from the other co-defendants," Steele said. 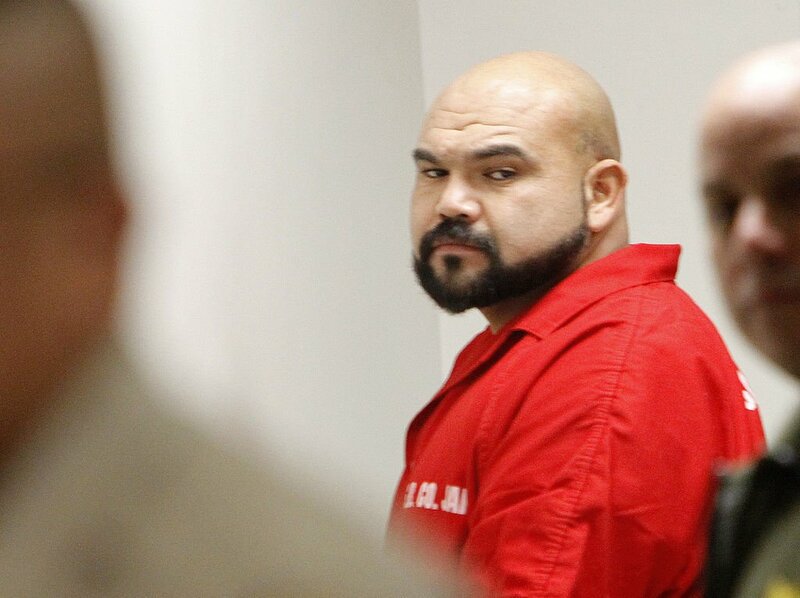 The judge also granted a 30-day continuance of the case until Jan. 28, a request made by defense attorney Michael Scott, who is representing 34-year-old Ruben Regalado Jr., of Santa Maria. Scott spoke on behalf of the remaining defendants and their attorneys including: 36-year-old Benjamin Ybarra, of Santa Barbara; 29-year-old Edgar Cordova, of Santa Barbara; 27-year-old Ulisses Ramon Guzman, of Santa Maria; 34-year-old Arturo Renteria Jr., of Lompoc; and 33-year-old Sarah Elizabeth Montoya, of Lompoc. The monthlong continuance will give the attorneys time to read over the recently acquired and voluminous grand jury transcript, as well as time to listen to 16 CDs and view discovery from the prosecution. Scott told McGregor that some settlement offers were coming in and the continuance would allow the lawyers to consider those offers and consult with their clients prior to the next arraignment on information hearing. All the defendants are facing multiple counts of extortion by fear of force. Additionally, Cordova and Regalado are charged with conspiracy to sell or transport methamphetamine, and Ybarra and Cordova are charged with conspiracy to commit murder. According to the grand jury indictment, Enriquez, Guzman and Ybarra all have prior strikes and prison priors against them. Renteria, who was serving time in Centinela State Prison in Imperial, was transferred to the Santa Barbara County Jail following the indictment by the grand jury. The arrests, and subsequent indictments, were the result of a 16-month investigation that stemmed from the June 2013 arrest of Santa Barbara County gang leader Raymond Daniel Macias. The 35-year-old man, who was tried and eventually found guilty of the kidnapping and torture of a Lompoc man over an unpaid drug debt, was sentenced to life without the possibility of parole in November. An arraignment on information hearing for the six defendants being tried together is set for Jan. 28 in Department 7 of the Superior Court in Santa Maria. An arraignment on information hearing for Enriquez has been set for March 23 in Department 7 of the Superior Court in Santa Maria.